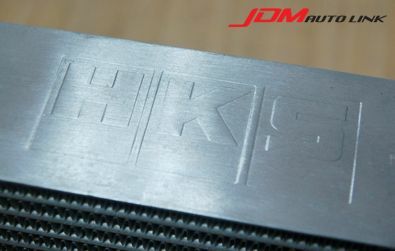 Pre-owned HKS R Type Intercooler for the Nissan GT-R (R35). 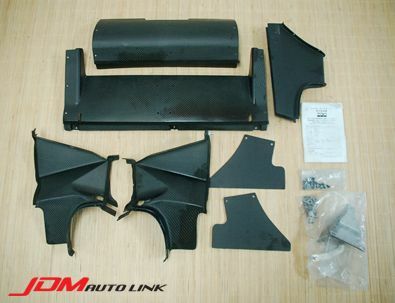 This has large capacity core with dry carbon air guide that will greatly improve cooling performance. 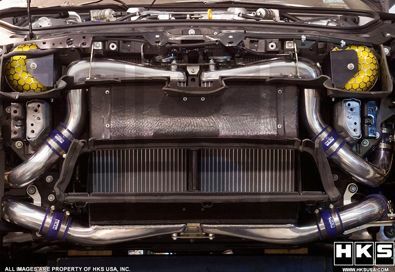 Despite the core is larger in capacity, the weight of the intercooler unit is lighter than stock. 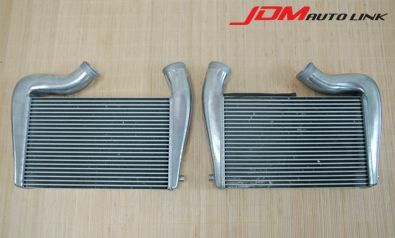 The performance level is also much higher than other manufactures' products, which are just slightly larger than stock intercooler. 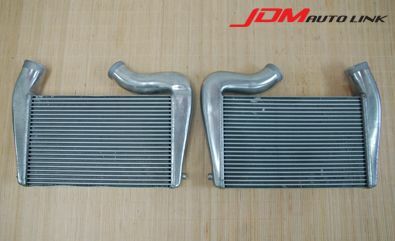 Although performance of stock intercooler is good, it is just good for stock boost level. At boost 1.2k (GT570 Kit, GT600 Kit), temperature of compressed air will be increased. To improve cooling performance, larger core is required. After performance tests, if the core size is just slightly larger, there is not so much performance improvement. 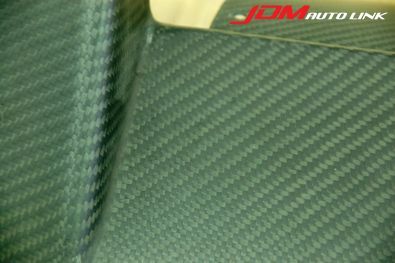 To achieve great performance enhancement, the large size (Size: 400x260x65) & thin core was selected. Large capacity core tends to affect to air flow for radiator. 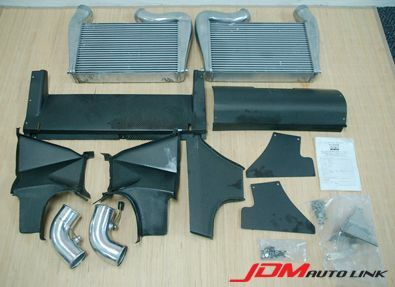 With the thin core, air flow speed to radiator will be increased. During tests at Sendai Highland Circuit and Fuji Speedway by a professional racing driver, the water temperature was the same level as stock system.